Myth: Only the best succeed. Anyone who has a passion for what they do will do their best in their work. And in the real world, some of the most extremely talented and skilled attorneys do not achieve what is traditionally counted as “success” — very high salaries and maybe even a partner position or two. For everyone and even “the best: success requires having a clear plan, the connections, and the social network to make their vision of success happen. Sometimes “less than the best” lawyers succeed due to excellent self-promotion. Do they have a better case history than you? Perhaps not, but what all “successful” people have in common, the plan and the determination to make their vision of success real. Myth: Working late and working hard will make you successful. This is one of those myths that refuses to die because it’s rooted in some truth. Most successful people are hard workers but many hard workers are not successful. If you want to succeed as an attorney you have to work hard on the things that will help you reach your goals. Failure to work hard on the right things will only bring failure or mediocrity. Myth: Playing politics will help you win. Office politics is mostly about petty squabbles between small minded people. This type of small thinking and tiny behavior will prevent you from reaching your goals. Politicking can harm your reputation. Truly successful individuals understand how to reduce conflicts, not engage in them; they understand how to stay focused on the things that are most important to them as individual lawyers and to the law firm. The legal industry is made up many people who are all successful in their own right: from the custodial worker, who takes great pride in maintaining the office and grounds; the assistant that knows exactly when to grab the boss a cup of coffee and keeps the practice moving; the paralegal that makes their attorney appear more organized and [with it]; to you. Success is perception. 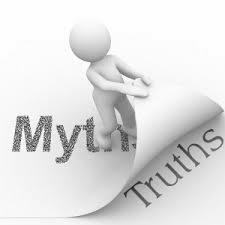 As you move towards your career goals, don’t let success myths sidetrack you or your view. Subscribe to the Leopard Blog for discussions on career tips, diversity, law firm insights, and other relevant topics. 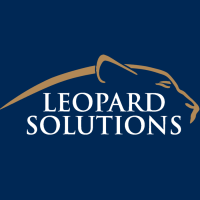 Leopard Solutions is an online resource for real-time legal data and insights for law firms, corporations, law schools, recruiters, and attorneys. Our suite of data intelligence tools helps you with business development, firmographics, marketing, and data analysis. Our tools are popular with HR teams, talent acquisition/recruiters, business development, sales, and marketing teams.